It's hard to believe that we are so close to finally getting a hold of The Last of Us. The latest from Naughty Dog is promising to be one of the sure-fire hits of 2013, and it has all the momentum to become a huge sensation. The newest TV spot published by Sony further reinforces a lot of what we already know about its bleak and hopeless world. Joel is a normal guy caught up in this hell, and as his female companion Ellie puts it, he has to hold onto his morals and die or do whatever it takes to survive. The harrowing tale is the highlight of a late strong showing of exclusives on the PlayStation 3. Sony is taking their console the distance with a ten year cycle like they've always done, and a lot is riding on the success of The Last of Us and a few other titles to keep it strong for the next three years. And of course we are excited for the game, but once the gaming world finally gets to play it, the sky's the limit for Naughty Dog to do some amazing things with the PlayStation 4. Will they continue being the hottest and most loyal developer of exclusive PlayStation content? 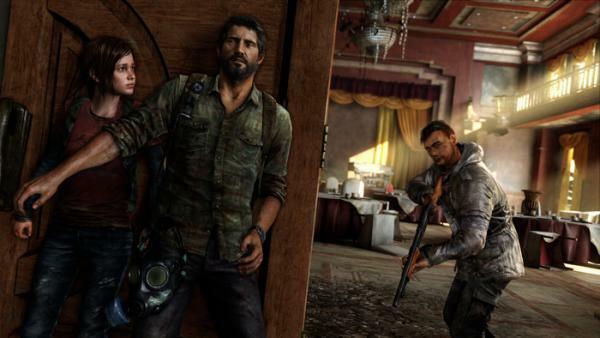 You can help keep their prestige running strong by picking up The Last of Us exclusively for the PlayStation 3 when it launches exactly one month from now on June 14th.